The Christie NHS Foundation Trust, PTCOG58 Local Organising Committee and the City of Manchester invite you to participate in this one of a kind conference. It is an honour and a privilege to invite you to PTCOG58, which will take place in June 2019. As the birthplace of the industrial revolution, European City of Science 2016 and site of Ernest Rutherford’s 1919 breakthrough in understanding the structure of the atom, it is a great pleasure to welcome you all to join us in Manchester for this, the latest edition of the hugely successful PTCOG annual conference. The Particle Therapy Cooperative Group was first founded in 1985, as a worldwide organisation of scientists and professionals interested in proton, light ion and heavy charged particle radiotherapy. The mission of PTCOG is to promote science, technology and practical clinical application of particle therapy, with the ultimate goal of improving treatment of cancer to the highest possible standards in radiation therapy. With Manchester’s own contribution to the history of particle science, and technological innovation that has continued to this day, we are proud that PTCOG58 will be centred around the theme of innovation – scientific, clinical, technical and industrial – and how the worldwide growth of particle therapy will develop in years to come. The Christie Hospital and Holt Radium Institute have led the UK’s clinical fight against cancer since the late 19th century, combining excellence in clinical care with world-class research. The development of hypofractionation, the first clinical MLC, and first in-treatment room cone beam CT have put Radiotherapy at the core of The Christie’s practice, and today more than 40 radiation oncologists serve a population of 3.2 million in our region. With the recent addition of an MR-guided linear accelerator and, of course, high energy Proton Therapy to The Christie’s portfolio – both UK firsts – the future of The Christie as a comprehensive cancer centre is as exciting as its past. For PTCOG58, we are working together as part of the PTCOG Scientific Programme Committee to bring you the very latest developments for the scientific programme. Please watch this space for announcements on the timeline for abstract submissions – if you are interested in showcasing your own research projects, we’d love to hear from you. PTCOG has prided itself on the strength of its educational programme for many years. The first part of the conference is fully focused on the educational programme, designed for the benefit of NHS and international delegates. PTCOG meetings have also become the focus of a growing number of subcommittee and group meetings spanning many topics of clinical, physics and technical interest. The productivity of these groups is increasing year by year. The opportunities for your contribution to the expansion of the activities of PTCOG is welcome. Please contact a member of the Executive Committee for more information. We also look forward to offering a varied programme of activities both at and away from the conference. You won’t want to miss our gala dinner, which will take place in one of our most spectacular buildings (not to give too much away! ), science walking tour of the city, Proton Centre visits to The Christie, and of course, the football and non-football related night life that made Manchester an entry on the Lonely Planet top 10 cities list. On behalf of PTCOG, The Christie NHS Foundation Trust, the PTCOG58 Local Organising Committee and the City of Manchester: We can’t wait to meet you. 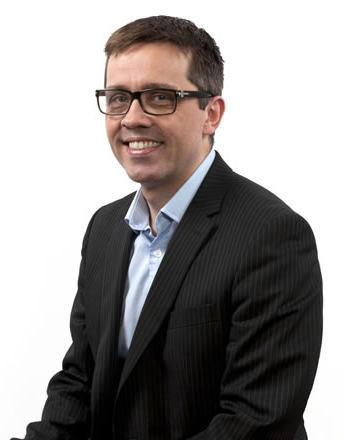 Ran Mackay is Director of Medical Physics & Engineering at The Christie - a regional physics service supporting The Christie in Manchester, its two satellite sites at Oldham and Salford, and beyond. Ed Smith is a Clinical Oncologist specialising in Paediatrics and Proton Clinical Director at The Christie. He leads the Clinical Group of the Proton Therapy Programme in Manchester, and has been involved with the Programme since the beginning. Jay Flanz joined the Massachusetts General Hospital and Havard in 1993 and became the Project Director and Technical Director of the Burr Proton Therapy Center. A central focus for Dr. Flanz is the continuing upgrading of the beam delivery modality for optimal patient treatments.